Times were simpler in 2001. Amazon had just turned its first profit, Google was still just doing search, and Windows had a new bright green Start button you could spot from the other side of a room. 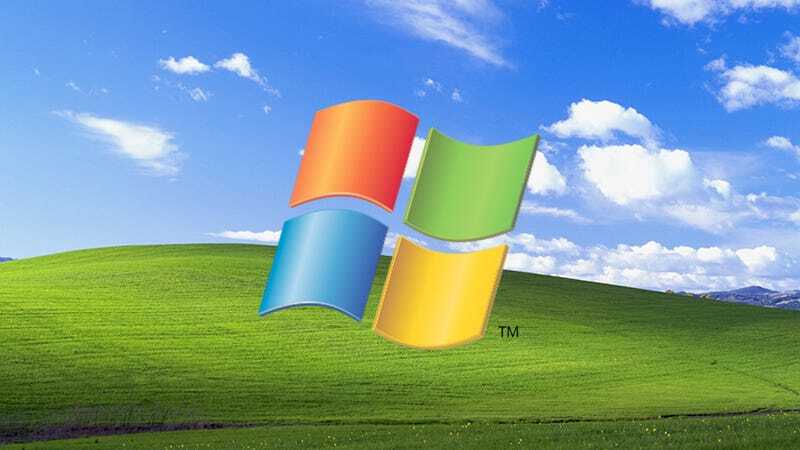 If you want to coat your modern Windows OS with some vintage XP design cues, here’s how to do it. Fortunately for Windows tinkerers, there are plenty of tools around to help you customize Microsoft’s OS to suit your own tastes, including some that send your computer into a time warp — at least as far as the on-screen visuals go. First up is Classic Shell, still going strong after six years. As well as letting you re-skin Windows and change the aesthetics of the OS, the utility also adds some productivity enhancements, adding various tweaks to File Explorer and the Start menu. Install the program on your Windows 10 machine and then right-click on the taskbar and choose Settings. Toggle the Use small taskbar buttons switch to On, then click Colors and select the blue farthest to the left on the third row down. Scroll down and make sure Show color on title bar is enabled. With those Windows tweaks taken care of, download the Classic Shell XP suite from Winaero and extract it to any folder you like (just make sure you remember where it is). Right-click the Start menu button, then choose Settings. Tick the box marked Show all settings to get the full suite of options, then open the Taskbar tab and enable the Customize taskbar option. Select Taskbar texture, click the three dots, and choose the xp_bg.png file you extracted earlier. Select Tile under Horizontal stretching and you should have an XP-style taskbar. Next, open the Start button tab. Tick Replace Start button and select Custom button, then click Button image and the three dots to select the XPButton.png file you extracted earlier. Click OK and the old-style, classic green Start button should show up. The final steps are to apply the Bliss wallpaper (in the same archive as the button and taskbar texture), and to select the Windows XP Luna option under the Skin tab in the Classic Shell dialog (right-click on the Start menu button and choose Settings if you need to bring it back). Alternatively, you can use the theming tool UxStyle to do the job (use the Windows 10 Technical Preview version). The process is a bit less involved than the Classic Shell one and the end results look a touch more authentic to our eyes, though the software you need isn’t all freeware. Once you’ve got UxStyle installed, head to Sagorpirbd’s DeviantArt page to get hold of some authentic looking Windows XP themes for Windows 10—UxStyle relaxes the Windows 10 customization options just enough to get these themes installed. The themes come in a RAR archive, and you need to extract them to the %windir%\Resources\Themes\ folder (just type the path into a File Explorer address bar). If you don’t already have a program that can extract RAR archives, 7-Zip will do the job. After that’s taken care of, you can open up the Personalization dialog as normal: right-click on a blank area of the desktop and choose Personalize. Choose Themes then Theme settings and if you scroll down you should see your newly installed XP themes. You’ll notice the taskbar doesn’t change, as this needs another tweak. You need the utility StartIsBack and a separate set of Start menu and taskbar skins. In this case you need to copy your downloaded RAR files to the folderC:\Users\<username>\AppData\Local\StartIsBack\Orbs (for the orbs) and C:\Users\<username>\AppData\Local\StartIsBack\Styles (for the styles), at which point StartIsBack should be able to see them. Right-click the Start menu button, choose Properties, and the StartIsBack options panel appears—you can finish the XP transformation under the Appearance tab. Note that the program is only free for 30 days, after which you’ll need to register it for $2.99.